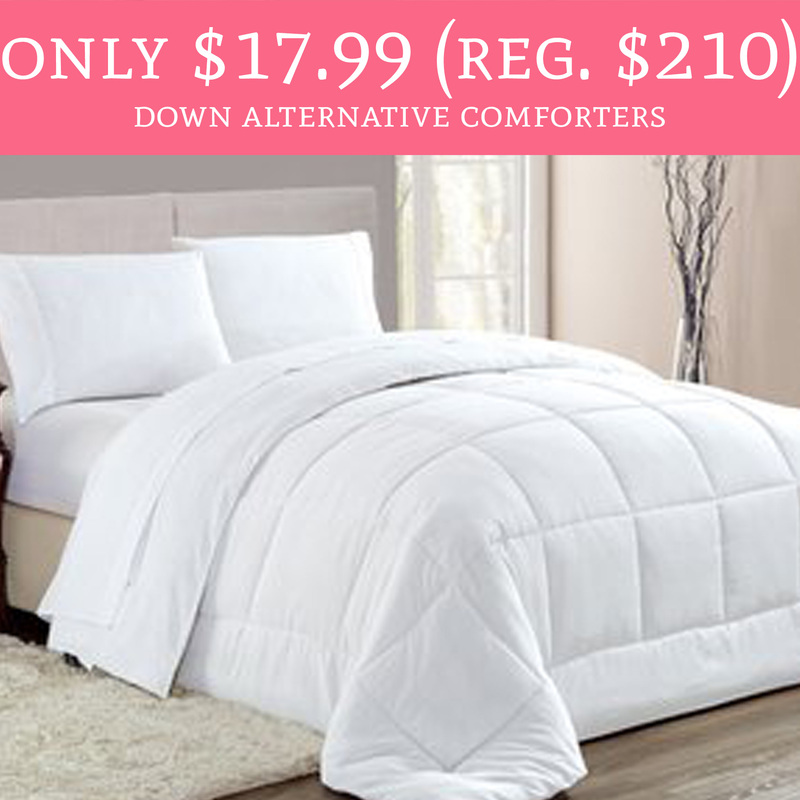 Head to Zulily.com to score the Down Alternative Comforters for as low as $17.99 (regular up to $60). Twin comforters are $17.99 and go up to king for $19.99, all amazing prices! If you have been looking for a new comforter you will want to snag this deal quickly. Shipping is $5.95. Order yours here!